Do You Know the Consequences of Early Gum Disease? Early gum disease is known as gingivitis, and at this stage, the problem is reversible if treated early. Unfortunately, many people fail to properly care for their teeth or to see the dentist regularly, and when gingivitis is left untreated, it can progress into more advanced forms of gum disease in which the tissues and bones that support your teeth can be destroyed. While gingivitis itself may not even cause any symptoms, failure to change your ways and properly care for your teeth could eventually lead to tooth loss. In order to adequately grasp the consequences of gingivitis, it is important that you know more about this condition. 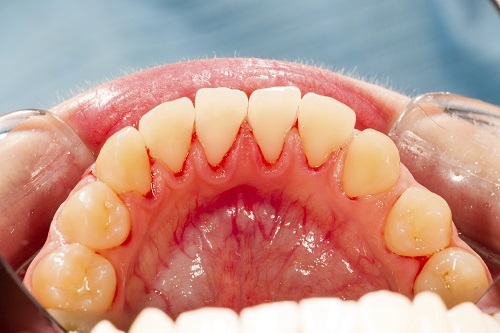 Gingivitis results from the accumulation of plaque and tartar around the tooth surfaces and between the teeth. In order to avoid these potential complications - as well as the expensive and potentially invasive treatments that are needed to treat them - it is important that you keep your teeth healthy. Make sure that you are visiting the dentist regularly and are brushing and flossing your teeth twice a day to remove plaque and tartar deposits. Taking these steps will go a long way in preventing future gum problems.